The less you know the more you'll pay down the road. When you're dating, the last thing you're thinking about is your bank account. But are you setting yourself up for future financial blunders as you dance your way through potential suitors? He does the cha-cha; you follow gracefully. He changes pace with the California swing; you follow suit. He starts to tango; your heart beats faster. You have some fabulous moves that don't go unnoticed. You're dazzled by his fancy footwork, but, you're not paying attention to the other signals he's displaying. Or, maybe you write them off as charming. You smile when he feigns embarrassment that he left his wallet home, leaving you to pay for dinner. He sends back half-eaten dinners, complaining they were not to his liking. He wants to watch two films on one ticket. He tells you "going Dutch" is a cool thing modern women do...like his ex. He purchases $400 shoes but gives you a birthday present that looks recycled. He asks if you participate in your company's 401(k) program and if your portfolio includes a will and trust. Hmm. What is he really asking you? And how much will it cost if you end up in divorce court? Much of what goes on between women and men is fueled by historical messages, especially if the woman earns less than the man. She will look to men to rescue her and protect her. That fantasy has an expiration date. That was certainly true in my first marriage. A graduate of Brown University and NYU Law School, he was a rising star litigator. He was ambitious; I was ambitious for him, pushing him to work more, hoping he would make partner. I had the gall to ask him to sign an American Express Card application on our wedding day--so it would be available when we returned from our honeymoon. I had fantasies of the perfect family: smart children, a home in Scarsdale with the wrought iron fence, a Volvo wagon, and engaging family dinners. Thank you, Donna Reed, for propagating that illusion. None of it came true. When the marriage ended, I didn't feel I was entitled to alimony, although I wanted it, and despite our having spent all the bonds I had acquired, I said nothing. My timidity was costly. I was basically broke. My second marriage? He was broke, and I had the money from restaurant and construction businesses I'd built. My fantasy this time was that he would wake up, become ambitious, and make the big bucks so I could retire. The reality? We had acquired enormous debts, so my choices were: Pay him alimony or pay the debts. I chose the debts. In both marriages, I drank the Kool-Aid and kept the fantasies alive because I wanted to be taken care of. I didn't want to be alone, and I didn't want the pressures of making money. By this time, I was in my late 50s. I lived in denial, a very expensive lifestyle choice. In retrospect, I should have known better I was sailing into stormy weather when he had $37 in his pocket on our wedding day and that was not because he did not get to the bank on time, and I paid for the wedding. Being present will save you from a broken heart and broken bank account. What you see is what you get. Don't try to rationalize someone else's behavior. Talk. Nothing trumps communication and it builds emotional intimacy. Trust your intuition. It doesn't lie. Know what you respect. Look for core values and complementary habits. Feel entitled to get what you want and deserve. 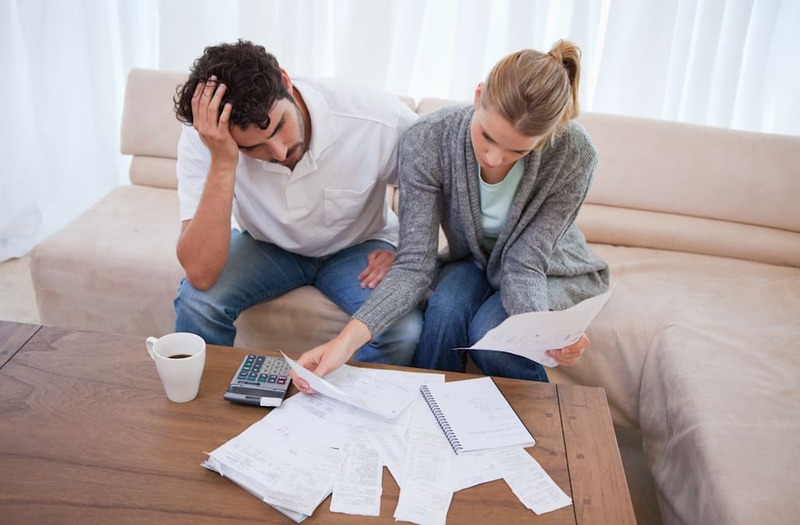 The post Are you dating a financial disaster? appeared first on The Financial Whisperer.